UPDATE (04/2/2019): The Niagara Frontier Transport Authority has announced that they are shelving plans to open Chick-fil-A locations at the Buffalo Niagara International Airport in the wake of discussions about the chain's 2017 donations. The location joins the San Antonio International Airport in the decision. “A publicly financed facility like the Buffalo Niagara International Airport is not the appropriate venue for a Chick-fil-A restaurant,” New York Assemblyman Sean Ryan tweeted of the decision, after having initially questioned the possible placement last week. ORIGINAL (03/25/2019): When you do clownery, the clown comes back to bite. And so do the gays. In the wake of reports that Chick-fil-A had donated over $1.8 million to anti-LGBTQ+ groups in 2017 according to their tax filings, a Texan airport has decided to take action. Though the San Antonio International Airport plans on bringing new restaurants and businesses in their concessions area over the next seven years, a new decision made by council members will specifically exclude the beloved chicken spot. “With this decision, the City Council reaffirmed the work our city has done to become a champion of equality and inclusion,” Council member Roberto Trevino said in a statement. The original accepted plans for the airport’s concessions included Chick-Fil-A. “San Antonio is a city full of compassion, and we do not have room in our public facilities for a business with a legacy of anti-LGBTQ behavior. It’s a curious statement seeing as these revelations about the eatery are in no way new. These sorts of discussions around Chick-fil-A’s donation history go back all the way to 2011, when widespread protests and boycotting began. Places like Northeastern University, Davidson College, and NYU have all responded to protests by preventing Chick-fil-A from entering their campuses. In fact, in late 2018, Rider University in New Jersey decided they would not allow the spot to stay on campus. That decision came “based on the company’s record widely perceived to be in opposition to the LGBTQ+ community,” according to the university. But here, “on the boycott your favorite chicken spot” train, there’s room for everyone, no matter what your final straw was. 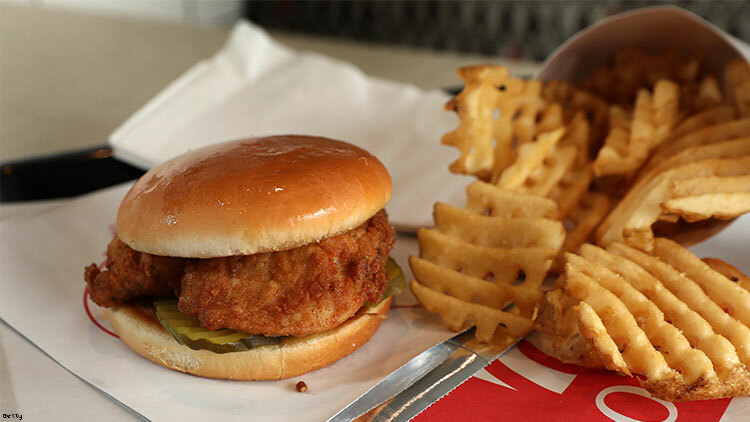 “Chick-fil-A embraces all people, regardless of race, gender, ethnicity, sexual orientation or gender identity,” the company said.